I’m posting a couple of pictures today, as a vehicle for telling you I’m going to hibernate from blogging – and reading other bloggers’ words – for the next two weeks or so. I have a big editing job to tackle, with a deadline of 6 November. And then I’ll need to recover! I may post a few more pictures that have tickled my fancy when I’m weary, or panicking, or stuck (it’s my own work, 90,00 words of fiction that need reducing by at least 10,000 words and honing till … well, till it’s the best I can make it) . 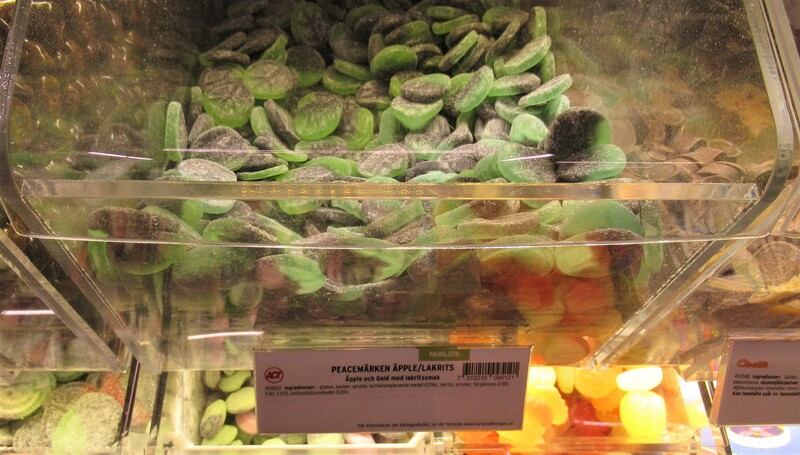 For those of you who don’t know, sweet/salt liquorice is very popular in some parts of continental Europe. The taste ranges from really salty (mouth puckeringly so) to really sweet and if you have high blood pressure steer well clear. 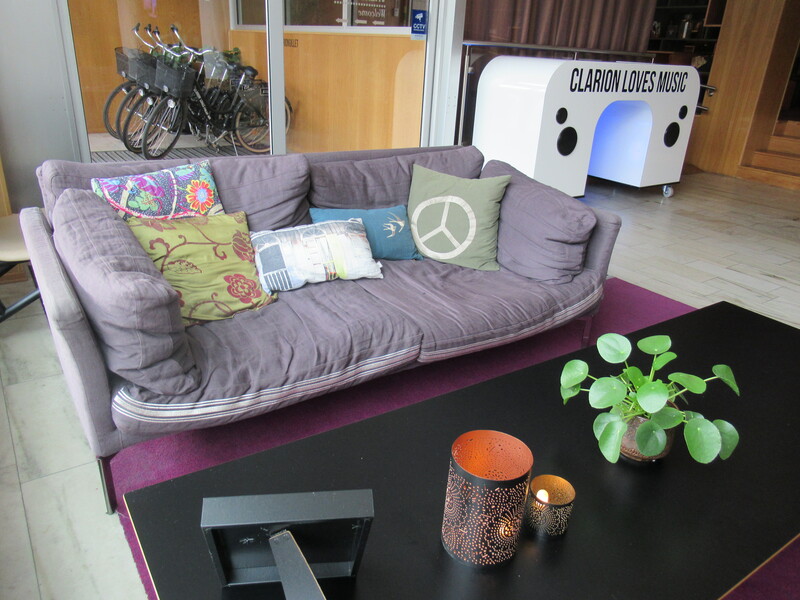 This entry was posted in Uncategorized and tagged blogging, CND, cushions, liquorice, peace symbol, Sweden, Writing. Bookmark the permalink. 7 Responses to Sweet, or soft? Hmm, a Mercedes cushion, where could that possibly be? 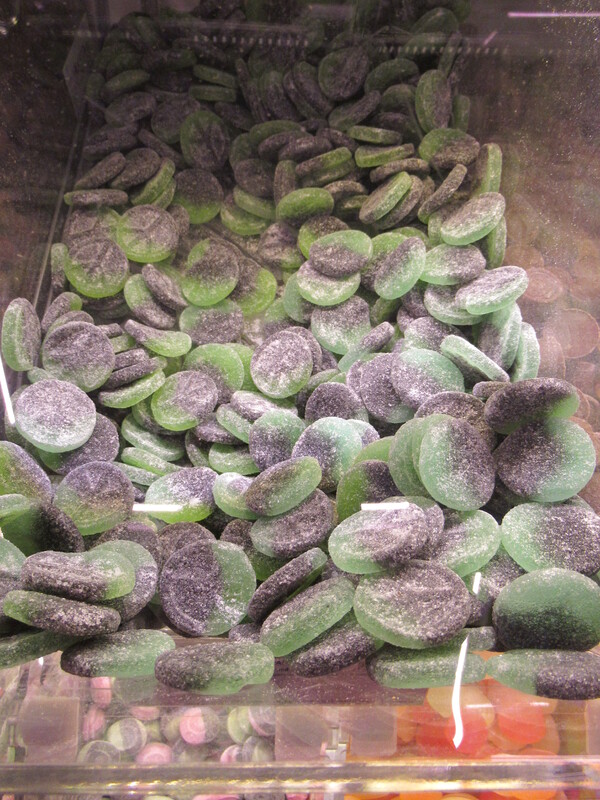 The sweets just look like blobby coins, but the pairing of liquorice and apple is un-British! Ha, yes, they didn’t quite get it right but they did intend… come on, you can see the sweets have a CND symbol (correctly) on them! Guessing the editing maybe was the long listed manuscript. The liquorice makes for a most interesting picture, but I believe I will pass on the actual sampling. Good luck trimming 10,000 words, my friend. Let me know when your work is published, for I want to be first in line to purchase!!! Don’t work yourself too hard … take a bit of time for Mary each day.